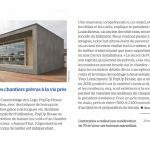 NG construction invites you on a PopUp House construction site in Alès. Join us from 9 am to 12 pm, 530 St. Georges Road (30100). 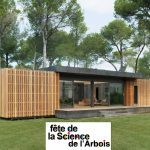 Be-Up Concept invites you to a PopUp House site building in Charnay-lès-Mâcon on Friday the 19th from 2 pm to 7 pm and on Saturday the 20th from 9 am to 5 pm. Join the Be-Up Concept team at Chemin des Luminaires, 71850 Charnay-lès-Mâcon. 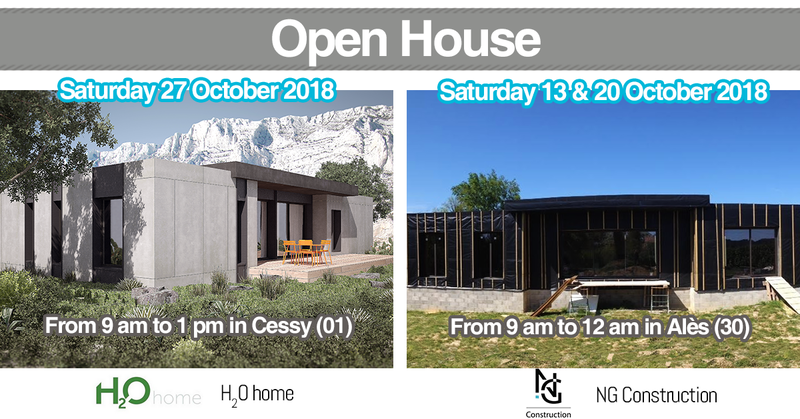 H2O Home organizes a site visit in the town of Cessy (01170) from 9 am to 1 pm. Morel Mapping Workshop and Domino Construction invite you to their PopUp House under construction from 10 am to 5 pm. 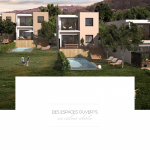 The building site is located at 5, lotissement le Pré de l’Alouette 56220 Pluherlin. Discover the PopUp House building system. We will welcome you to our show house and answer your questions. We’ll be waiting for you, see you soon!